Real Simple hit newsstands in April 2000 (pictured, on the right) with a cover featuring roses. Fifteen years later, the cover once again features the popular flower. Other than that, almost everything about Real Simple has changed. 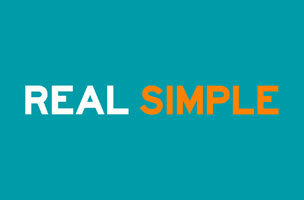 Real Simple was first imagined as every woman’s go-to guide for streamlining life. Readers still flock to the title for that, but in a different way. As Real Simple’s readers sought more from the magazine, it did its best to match the demand. When the title launched, its rate base was 400,000. Van Ogtrop said that circulation is about to cross the 2 million mark. The Real Simple brand can now be seen on products sold in Bed, Bath & Beyond. The magazine’s site currently attracts 15.6 million monthly unique visitors. The future of Real Simple, according to van Ogtrop, will be much like its past. In keeping with the magazine’s theme, we’ll simplify what she means by that: More.